The first step before we apply our quality sealers, our artists prep the surface. Removing the stains, oils and existing sealers in travertine stone will allow our sealers to penetrate deep and lock out all the stains. We offer two travertine sealing services, a penetrating sealer with Repela-Bond and a topical sealer with Celine. Sealing travertine with Repela-Bond. A clear penetrating sealer. Whenever our artists clean travertine, they always seal the stone with Repela-Bond from pFOkUS®. Only cleaning travertine is not enough as its pours are open and accessible to stains. The stone will have a hydrophilic appearance, once fluids are poured on it. Repela-Bond will not 100% prevent an acid from etching travertine, as it allows the stone to breathe. A clear solvent topical sealer. Meet our strongest stone sealer, Celine – a clear topical chemical resistant sealant that waterproofs the surface. 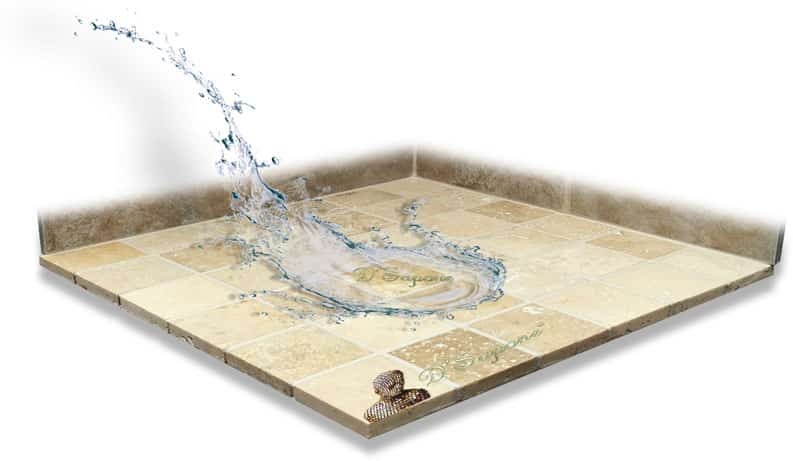 Celine prevents travertine from retaining moisture, causing mold and stains. 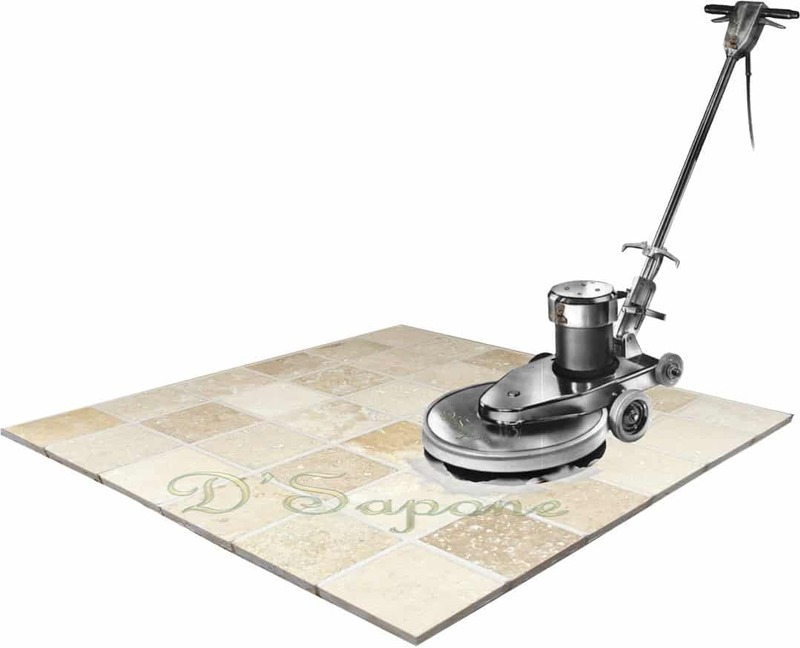 It penetrates deep into the stone achieving longevity on floors, countertops and in showers. Protection that will floor you. 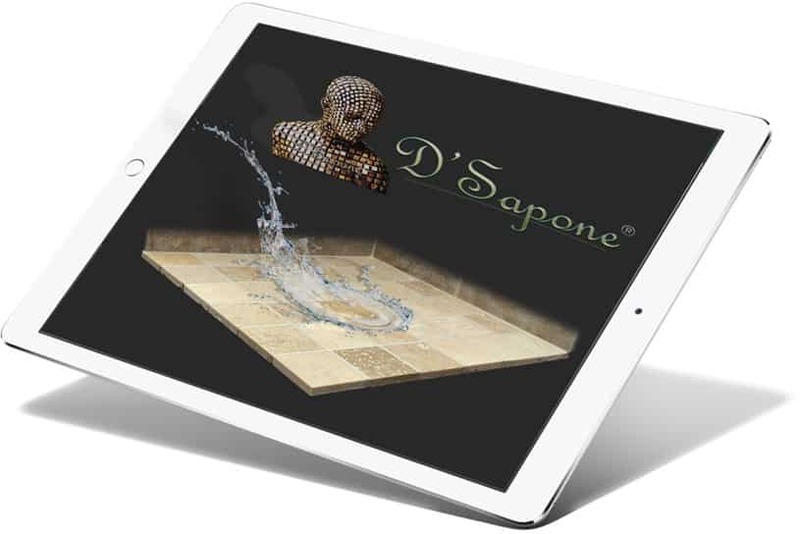 Rather searching for durability, style or a unique finish, D'Sapone® artists will keep your travertine free from harmful bacteria, stains and mold. Celine is our strongest clear sealer for travertine floors that may add a slight sheen to the stone, while Repela-Bond is a natural look sealer, which provides strong protection and is easy maintained. We can also polish the stone before sealing. Stains, mold and mildew seem to be a standard for the travertine tile in showers. Until now. 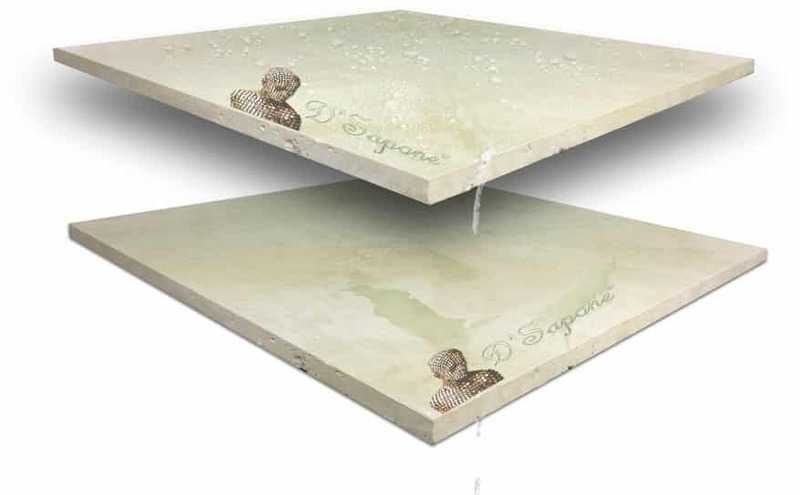 Celine coats the top of the travertine and penetrates deep to protect the stone with its mold inhibiting technology. 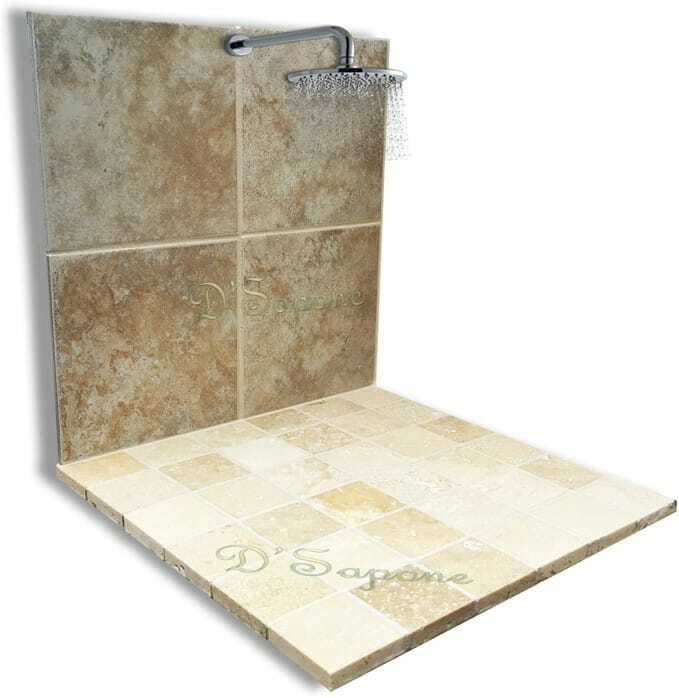 D'Sapone® carries 5 year warranties on its ‘Healthy Shower’ travertine services. You know Valore by its incredible hydrophilic protection and lavender aroma. But, that just sets the stage for the best stone maintenance cleaner. 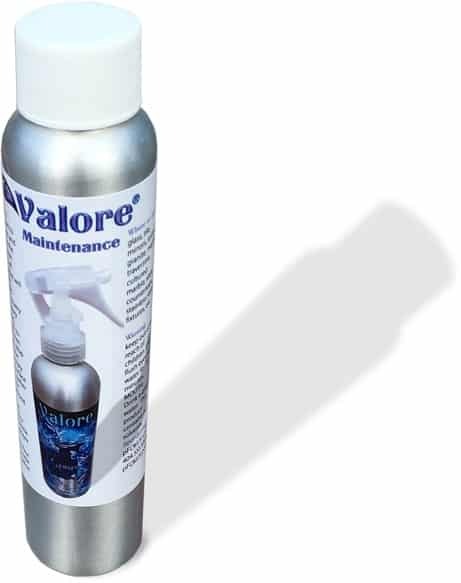 With a new concentrated formulation, the latest additives of Alco prevent streaking and H2O2 assists in sanitizing the stone, making the new Valore better than its predecessor. restoration. Simply fill out our estimate form and have us call you back, schedule an on-site estimate or upload the images of your affected areas for an online estimate. Walk on the floor within 4 hours and shower within 24 hours. 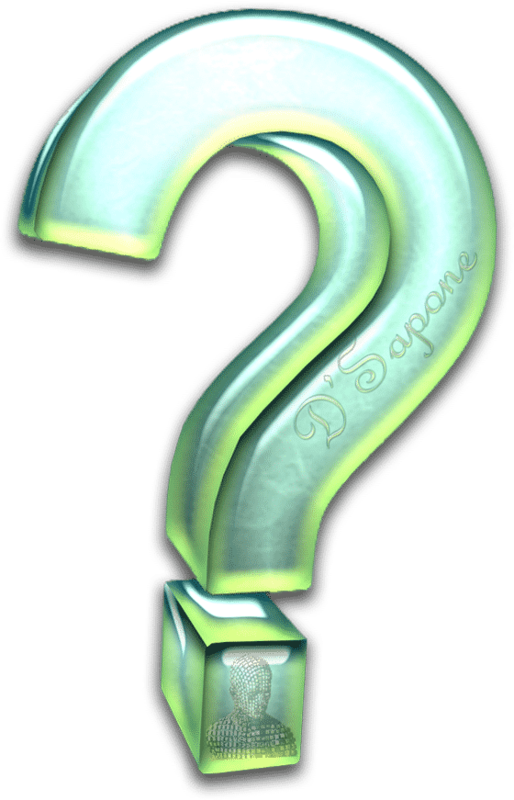 D'Sapone®’s artists are passionate and equipped with quality cleaners & sealers.